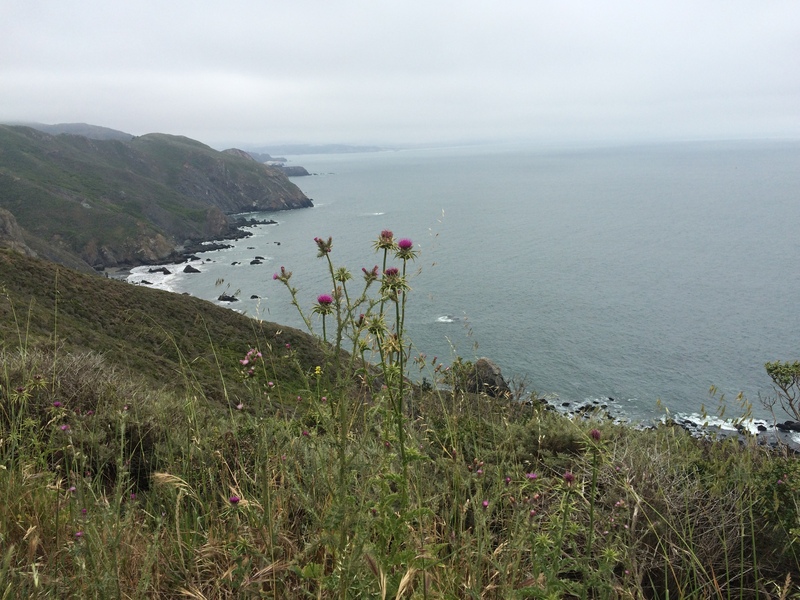 Next up in our series on Bay Area Hikes is the Green Gulch trail. 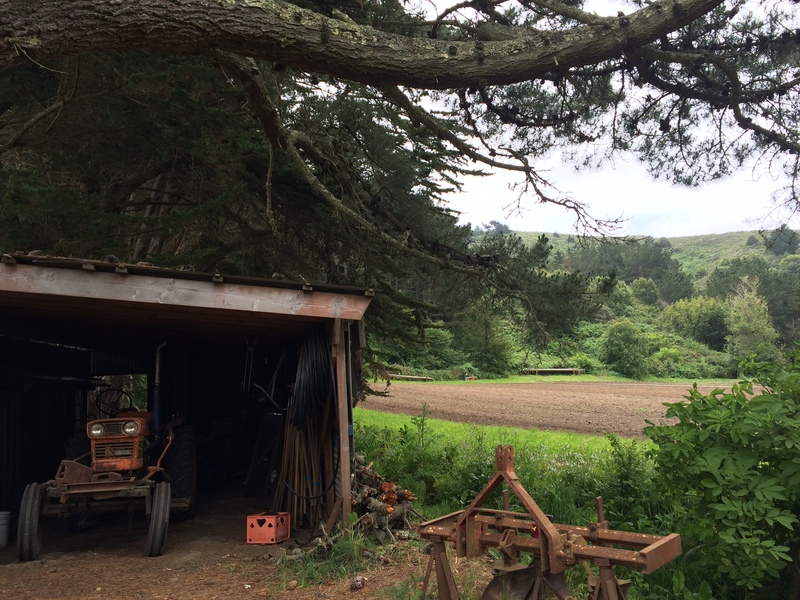 Most guides recommend that you start the trail at Muir Beach, but I like to park at the San Francisco Zen Center’s Green Gulch Farm. 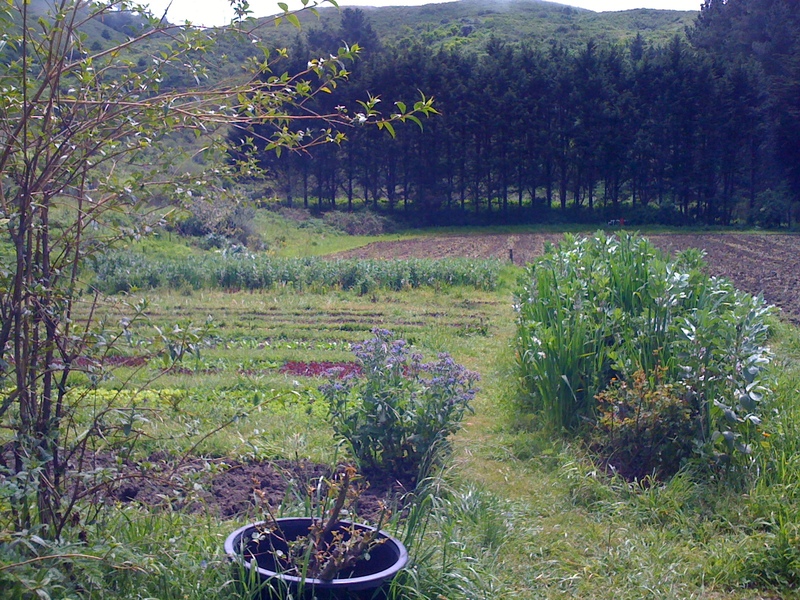 One of three local zen centers, Green Gulch houses a zen practice program and retreat center, in addition to their farm and garden. 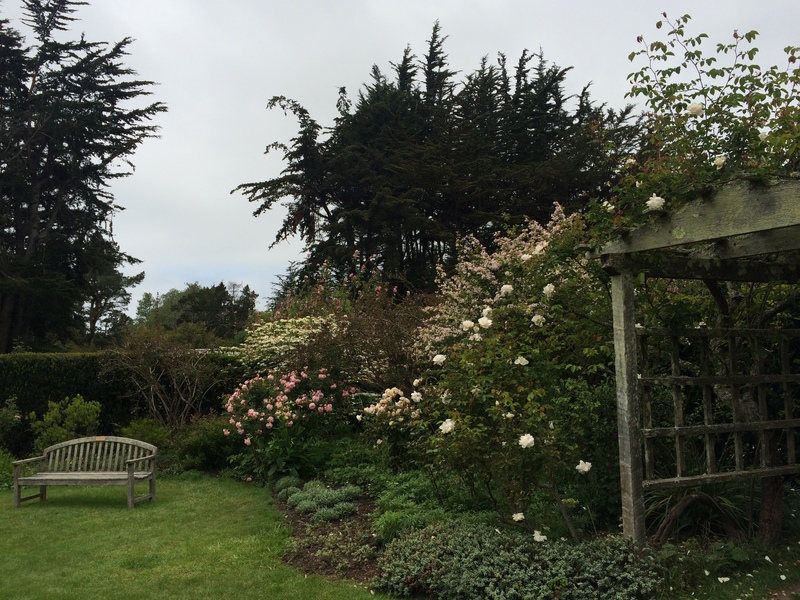 On Sundays, a meditation and dharma talk is open to the public, with a break for their renowned fresh baked muffins and tea, followed by a vegetarian lunch for the community. 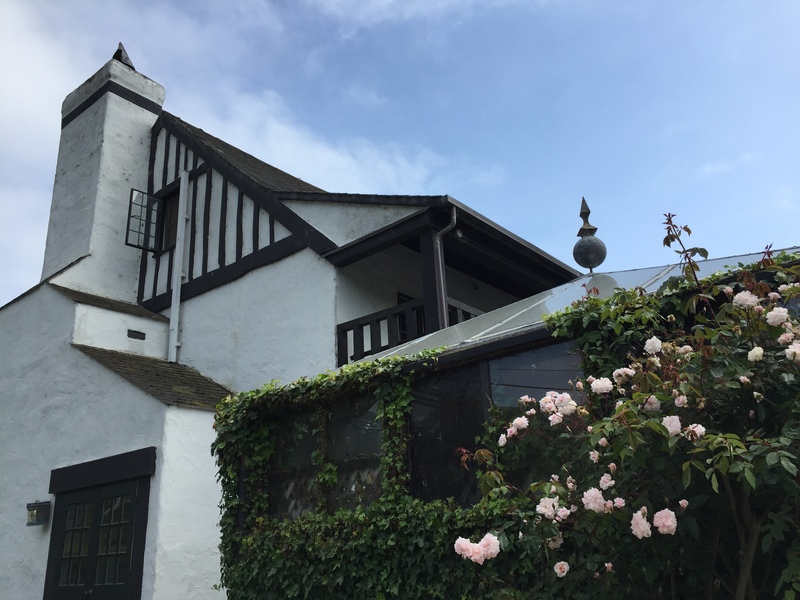 I have always been curious to stay in their hushed guest houses, or in the tiny Hope Cottage nestled in the hills, and looking out to the sea. 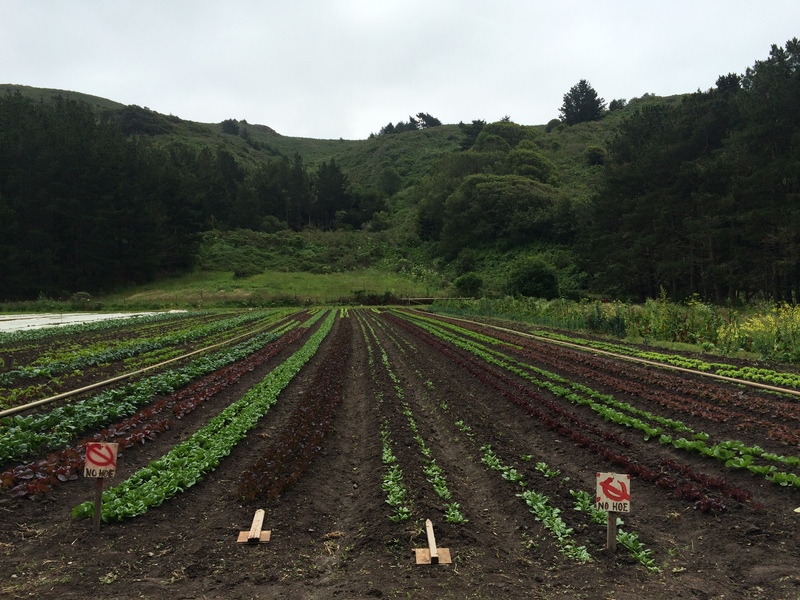 Many of the organic fruits and vegetables grown at the farm end up on the menu at Greens Restaurant, in San Francisco, but you can also buy their produce from May through October at the San Francisco Ferry Building’s Saturday market. 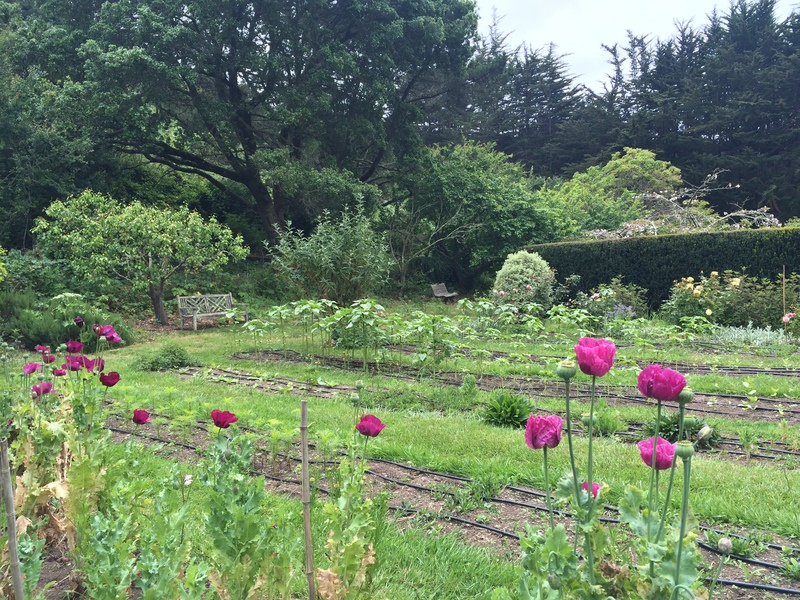 In addition to growing fruits and vegetables, Green Gulch has planted a handful of flower gardens, hidden in pockets branching directly off the main trail. They are the perfect mixture of peaceful, introspective, and whimsical. 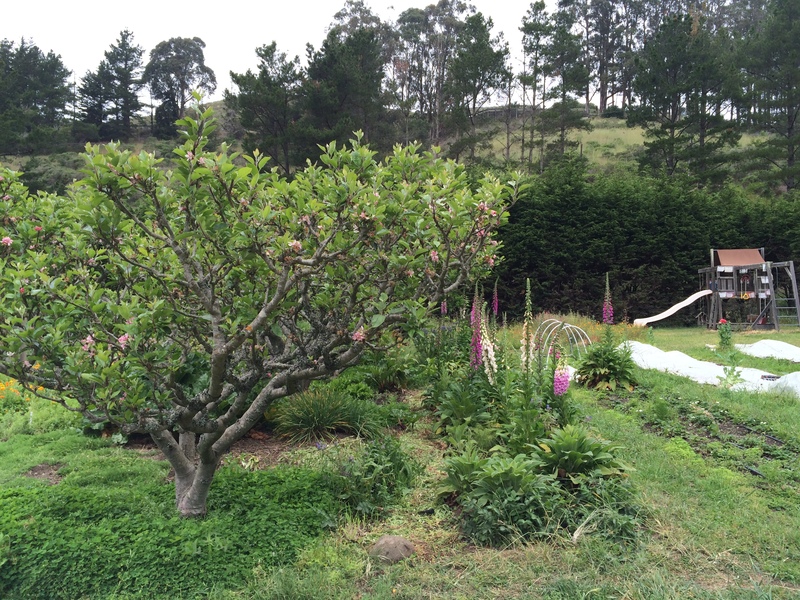 I particularly love their lush roses, foxgloves, and poppies in deep hues, framed by pines and cypress. 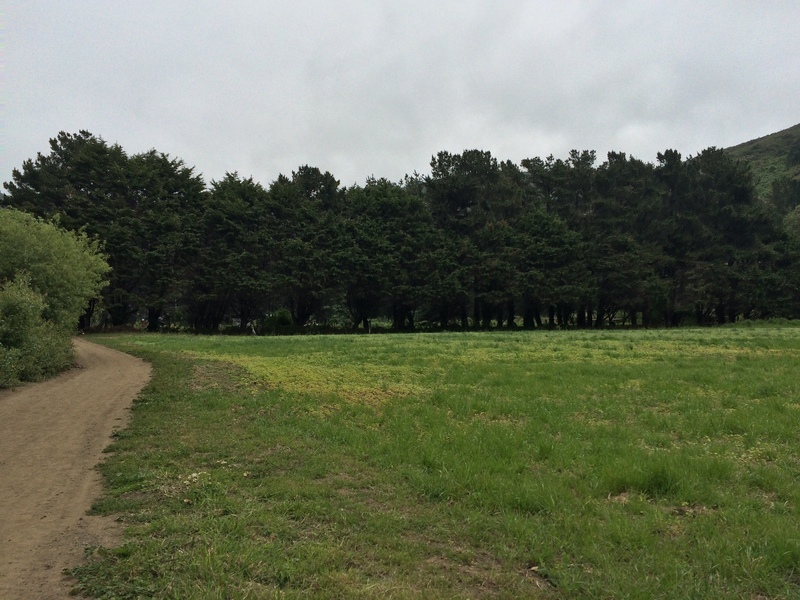 The path is flat, and, once you push through the gate to exit the garden, winds through fields past horses and wildflowers. 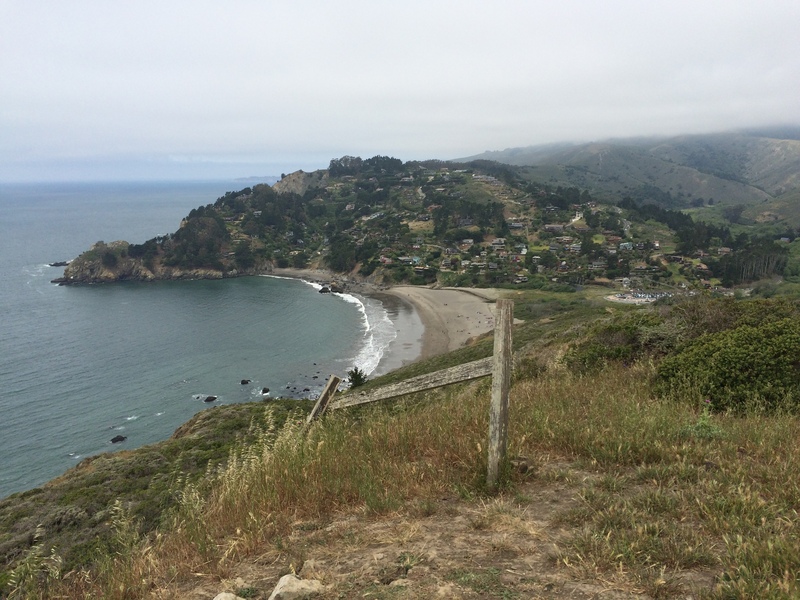 One of the reasons why I love starting at the zen center, is because it is always exciting to end the trail with that first glimpse of the Pacific Ocean. 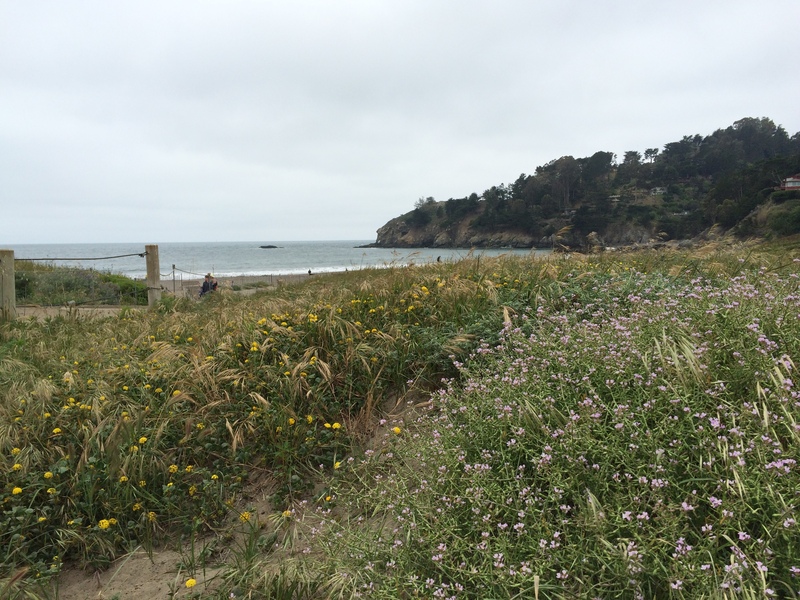 Once you reach Muir Beach, to your left is a path uphill affording a perfect perch for a picnic. After hiking, I love to stop at the nearby rustic Pelican Inn for tea. What about you? Where are you hiking these days? I am imagining that the cool, sunny sun is peeking behind the clouds calling us to follow him along this pleasant trail you have presented us with. Thank you, indeed.